A quick hello and some bottle shots! 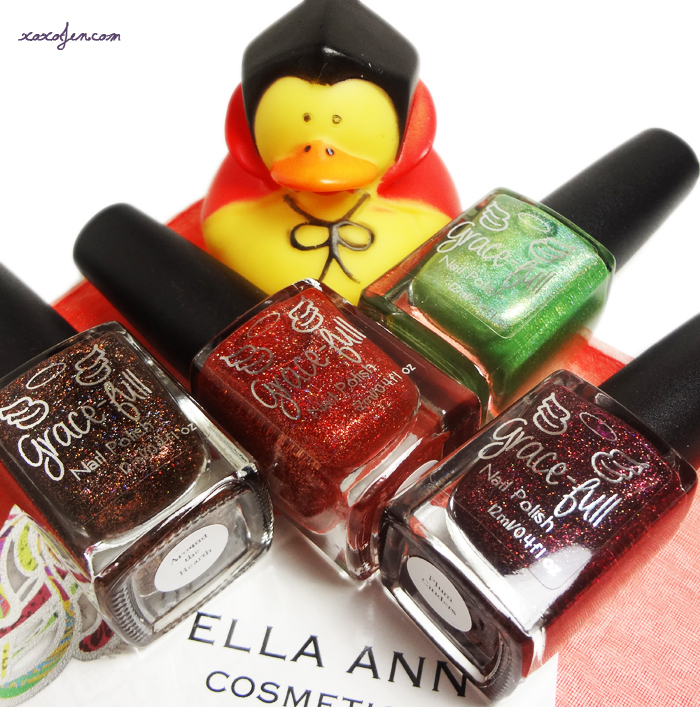 I recently ordered some new fall polishes from the Ella Ann shop, and they've arrived along with a little friend! I'm excited to wear them soon! What are you looking forward to? All the colors looks good.